The Capitol Flag Case is made in America of hardwoods with the finest fit in the industry. Glass front and wall mountable. 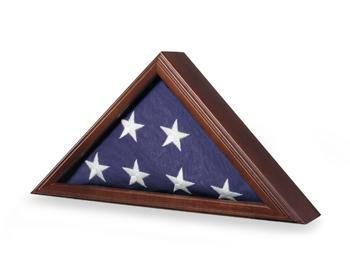 Cherry case displays 3x5' flag as flown over US Capitol or other locations.